Dhrupad and Khayal are the two forms of classical singing that exist today in North India. Dhrupad, the older form, enjoyed wide popularity till the 17th or early 18th century, after which it gradually declined with the emergence of Khayal, a more entertaining style. The nature of Dhrupad music is spiritual, seeking not to entertain, but to induce feelings of peace and spirituality in the listener. The word Dhrupad is derived from Dhruva, the steadfast evening star that moves through the galaxy, and Pada meaning poetry. It is a form of devotional music that traces its origin to the ancient text of Samveda. Though a highly developed classical art with elaborate aesthetics, it is also primarily a form of worship, in which offerings are made to the divine through sound or Nada. Although Dhrupad originated in the chanting of Vedic hymns and Mantras, it gradually evolved into an independent classical form of music. Dhrupad was initially sung only in the temples, the singer facing the Lord. From this early chanting, Dhrupad evolved into a sophisticated classical form of music. One significant characteristic of Dhrupad is the emphasis on maintaining purity of the Raga. 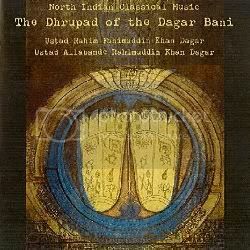 The language of Dhrupad changed from Sanskrit to Brij Bhasha some time between the 12th and the 16th century. Until India‘s independence, Dhrupad had mainly thrived under the patronage of Mughal and Rajput kings and its complex rendering became intended for royal audiences. The compositions became more secular. Some were written in praise of the emperors, others elaborated on music itself. However the pristine nature of Dhrupad survived and even today, we hear this majestic form of music performed like it was more than 500 years ago in the royal courts of the emperors and kings of India. The decline of Dhrupad during the last two centuries coincides with a shift in Indian classical music, when it was accepted that music must primarily entertain, with many of its practitioners switching over to the new form, the Khayal, which progressively increased in popularity and attracted greater patronage. Dhrupad however remained the favoured style in a few imperial courts, mainly in Rajasthan and Bihar, where some Dhrupad Gharanas continued till the late 1940’s, when these states were assimilated into the Indian republic. But the sophistication of the musical concepts underlying Dhrupad, and its objective of creating a music that uplifts, but does not necessarily entertain, and that embodies the essence of Indian spiritual thought, has found for it a growing acceptance and admiration in the West. This has made Dhrupad singing, finally a more viable profession for its few remaining practitioners. Dhrupad is performed in two parts – Alap and Bandish. In Alap, the singer uses syllables taken from Sanskrit Mantra which add texture to the notes. The Raga is slowly and methodically developed in a meditative mode. The speed of Alap increases with the use of an accelerating rhythmic pulse that builds to a point, where the melodic patterns literally dance in space. The Bandish is a short poem accompanied by the Pakhawaj (a double-headed horizontal drum). The poem is sung using melodic and rhythmic improvisations. The intricate patterns and improvisations woven by the Pakhawaj player and the singer create a dialogue often playing against or complimenting one another. Haveli Sangeet is temple music practiced by the Vaishnavites of Nathdwara in Rajasthan. Nathdwara is the main seat of the Vaishnava devotional cult which created a rich historical tradition of temple-based music. ‘Haveli‘ here is referred to a palace that the deity chooses to live in. In comparison to Dhrupad, Haveli Sangeet, as it is known in Rajasthan and Gujarat, claimed superior resilience as it was believed that Lord Krishna himself was the very audience for its performances. In this music practice, the very essence of the song revolves around Krishna Bhakti and is sung in the form of Kirtans, Bhajans and Bhava Nritya. Known to incorporate a fusion of classical and folk music, the dominant style of singing is still Dhrupad and Dhamar. The temples of Radha Vallabh at Vrindaban, Krishna at Nandgaon, Shri Radha Rani at Barsana, and Sri Nathji at Nathdwara are all known to reverberate with Haveli Sangeet. Haveli Sangeet is almost extinct. It is known to be more vulnerable than classical Dhrupad, mainly due to the audience’s lack of understanding it. While an ‘art music‘ audience can recognize Dhrupad as well as Haveli Sangeet as more sophisticated musical genres, the ordinary listener would merely consider Haveli Sangeet to be devotional songs like Bhajans. Oh great post! I always wanted to know the difference between geets, dhrupads, khayals and tumris. This explained ‘dhrupad’ to me so beautifully! In the commercial world – you are right that Dhrupad and Haveli Sangeet is dead. However, this form is stil alive in the Havelis and in many peoples home who follow pusthimarg. Haveli Sangeet is technically kirtan or pad. People still play kirtans and pads at haveli and home. Great post, anyway. True practitioners of Haveli Sangeet can still be discovered in region around Mathura, Agra apart from Bikaner and some interior villages in Rajasthan. Pt. Satyabhan Sharma still retains the true essence of Haveli Sangeet — the style known for strict adherence to Raga-time sanctity — which other better-known singers synthesize with expression that may appeal to masses. I wanted to know whats the significance of Shiva devotion in Dhrupad and how krishna bhakti seeps into haveli sangeet ? there is no sound….!!!!!!!! !since last 2-3 months these haveli sangget pcs cannot be played. 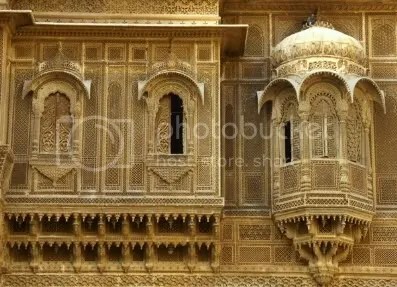 hello sir, its a very interesting article,i never knew of haveli sangeet.. .Cannot open or download files here, links are broken 😦 😦 please check! asap.. please…! I DIDN’T EXPECT TO FIND SOME INFORMATION ON SUCH SUBJECT. THANKS.